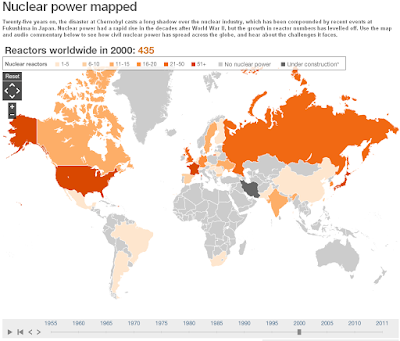 See the development and introduction of Nuclear Power from 1955 onwards with the time slider at the bottom. Data in the map above is sourced to the IAEA. The map uses current political boundaries. Data showing the percentage of electricity that nuclear power contributes to each countries' total electricity production is only available from 1985-2010.